It’s been a challenging year yet again. With the hot spring, flowers have produced less nectar for the honeybees to collect. In the summer we started hearing from other beekeepers that their bees were not bringing much in, and this continued throughout the summer. 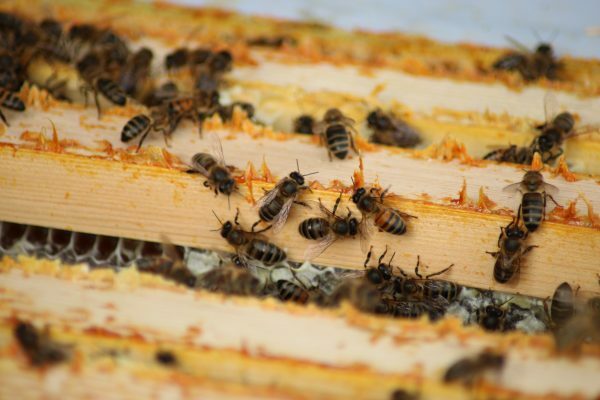 One Cambridgeshire beekeeper I spoke to at the end of the summer, who has around 300 hives, said his yield is 40% down on last year, and last year was not great either. 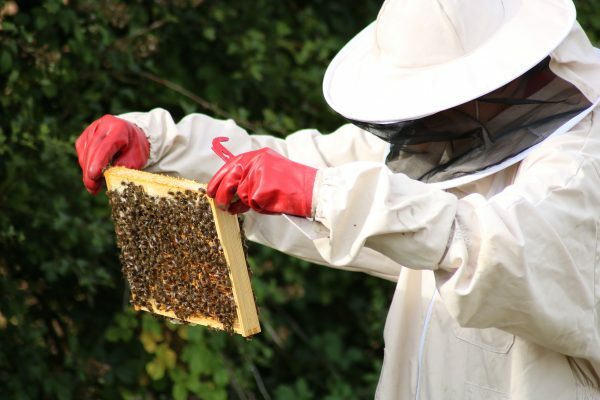 Another Norfolk-based beekeeper urged all beekeepers in the UK to check their hives much earlier this year to start feeding them now, something that we have started to do and will do all winter and into early spring. We invested in new hives this year and located them on a different farm location, so we have two farms with hives now. We also collected our first swarm earlier in the summer. We received a message from someone who was concerned about the bees as after 3 days the swarm hadn’t moved on. By the time we visited, two thirds of the bees were crawling on the floor under the remaining swarm above. We placed a box on the ground and immediately the bees marched in for protection. 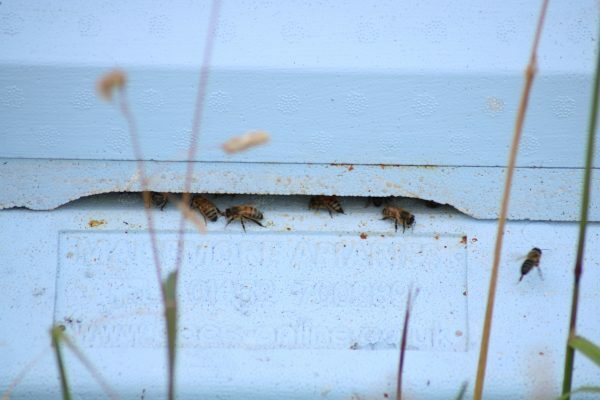 It was wonderful to see and we were able to relocate them in a new hive in a field next to bean crop. The swarm has done really well to grow from a small size. You can see the frame they had started to fill. It is still a small colony but we will continue to look after the bees during the winter and to help keep them flying and pollinating. Part of the challenge of finding a new location for our hives was to find a good spot, ideally partially sheltered at the back of the hive and maximising exposure to the sun. We found a fantastic new spot close to some bean crop, with the prospect of acres more bean crop in 2018. 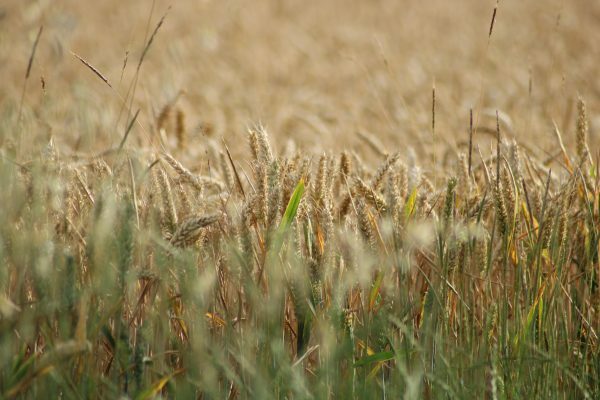 One thing I’ve noticed as I was driving to different locations with the (extremely helpful and accommodating) farmer is that there is a lot of wheat and barley crops, acres of woodland too but light on fields of flowers for bees to forage. As far as the eye can see, it’s green and gold which dominates. When we’ve had such dry weather with less nectar being produced, fewer flowers also has a major impact. 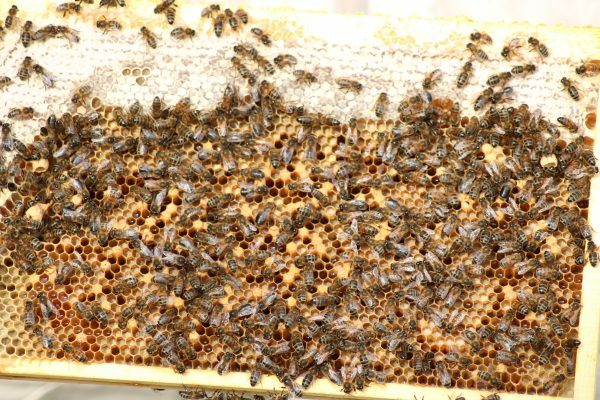 So this is something we need to think about as we introduce more hives. 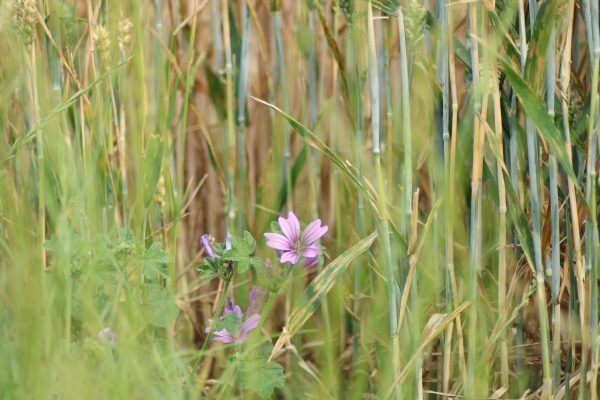 Lots of farmers will plant wildflower corridors near beehives but this will only provide food for a limited time.